Ho Chi Minh City (Vietnam): M.C. 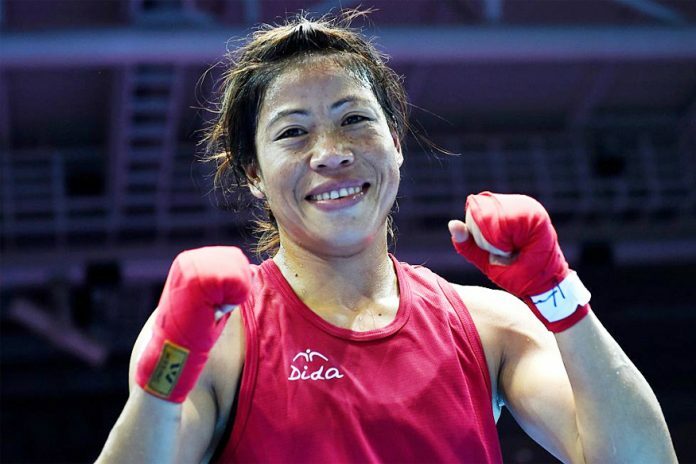 Mary Kom (48kg) notched up her fifth gold medal at the Asian Women’s Boxing Championships, winning a fiercely contested summit clash in Vietnam on Wednesday.Up against North Korea’s Kim Hyang Mi, the five-time world champion and Olympic bronze medallist Indian prevailed in a unanimous 5-0 verdict to add another accolade to her already crowded cabinet.This is Mary Kom’s first international gold medal since the 2014 Asian Games and her first medal in over a year. 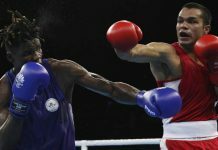 In Hyang Mi, the 35-year-old Mary Kom found her most aggressive opponent so far in the tournament but she was up for the task.Unlike her previous bouts, in which the opening three minutes were invariably spent measuring up the rival, both boxers were lunging at each other within seconds of the bell going off.Matched quite evenly in speed and precision, Mary Kom scored for her ringcraft, which included some fine footwork to outpace Hyang Mi at crucial junctures.There was hardly any power-hitting on display but the contest was made engaging by the boxers’ fast-paced exchange of punches.The North Korean was relentless with her left hooks but the Indian did not allow herself to be rattled and scored on counter-attack with her combination blows.